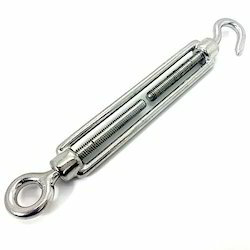 Our skilled employees and hi-tech machinery enable us to manufacture and supply an exclusive range of lifting tackles like D and Bow shackles, turn Buckles, Eye Bolts, Swivels, Eye Hooks, Rings & other custom made lifting tackles. Our premium quality range of shackle and rings is crowned with features like dimensional accuracy, robust construction, corrosion resistance and easy handling. We welcome queries for Shackles & Rings from South India region including Andhra Pradesh, Karnataka, Kerala and Tamil Nadu. Fourged Turn Buckle Eye & Eye Type 5 Ton Capacity M 39. 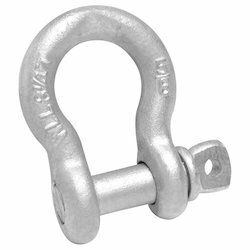 Our organization is engaged in offering a D-Shackle & Bow Shackle which are available in various colors, designs and sizes. We stand high on the reliability front and offers complete satisfaction to our clients. Our association enables us in sourcing high-quality products for a variety of usage. 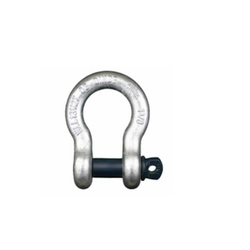 Distinct range of Industrial Shackles that we manufacture and supply is widely appreciated by our valuable clients. 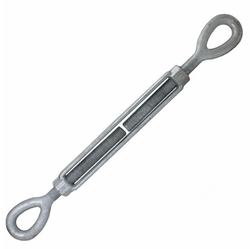 Have emerged as front-runners when it comes to manufacturing and supplying Turn Buckle Eye & Hook.